Breaking News! McGary and GRIII are coming back! Good move. BREAKING: Mitch McGary will remain at Michigan for the 2013-14 season. BREAKING: Glenn Robinson III will continue his Michigan career and remain for the 2013-14 season. 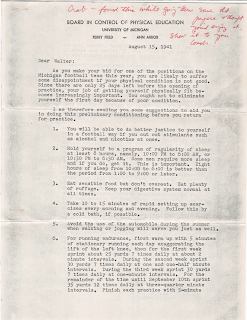 Letter from Fritz Crisler to player circa 1941. 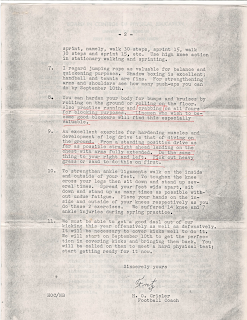 Via Reddit/CFB, so no details about where this letter came from or any of the back story. I don't know who Walter is, but certainly @MVictors could clue us in. I'd love to know more about this. UPDATE: Via a commenter...this was originally posted to the MGoBoard. And for some back story scroll down or follow the link to the comments of this post. Page 2 is where things really take off. Number 9 sounds downright brutal! 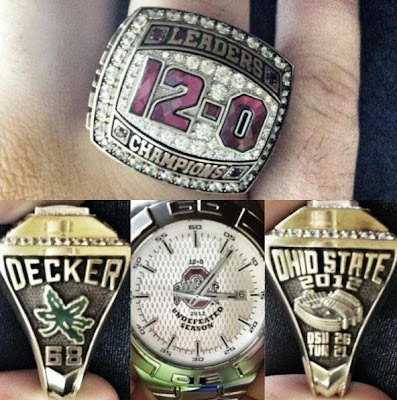 Celebrating 12-0 ain't just for the Irish. Look, we get it. Your team went 12-0. That's not easy to do no matter how soft your schedule was. * It is amazing to me, though, that most college teams struggle once the NCAA issues sanctions on your program. Not the Buckeyes. They upgraded their coach and went undefeated. Must be nice. April CFB hype in full swing. The mothership was in town yesterday broadcasting from the Glick. I don't see the video anywhere, but somewhere Jesse Palmer picked Michigan to finish 9-3 and win the Legends division (losses to ND, NU and OSU). Here's Hoke and Devin's interviews. 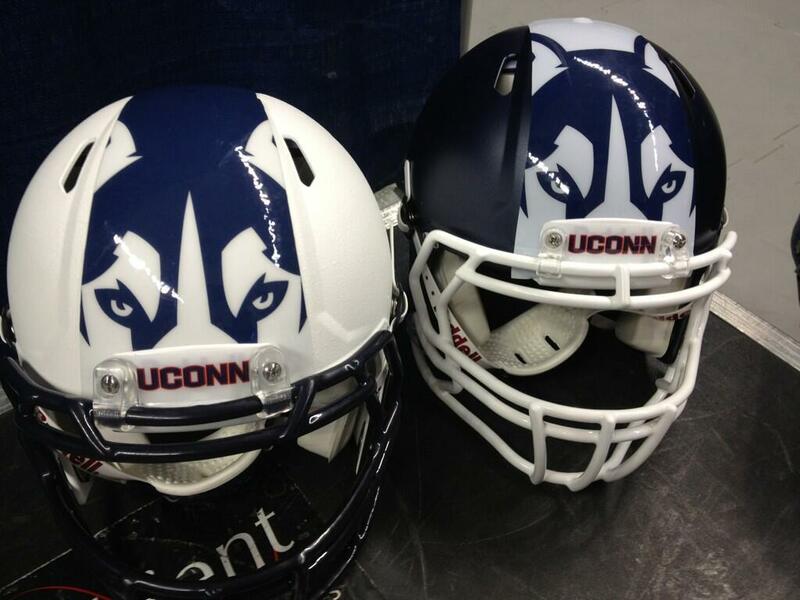 New UConn helmets. 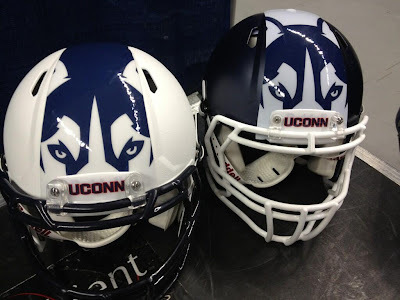 We'll see these on September 21st. So long Mary Sue. She's retiring in 2014. At the University's Board of Regents meeting Thursday, University President Mary Sue Coleman announced her intention to retire after her term expires in July 2014 without seeking a contract extension. "Leaving the University of Michigan is the most challenging and rewarding work of my career. It's a tremendous privilege and one that continuously energizes me," she said at the meeting. 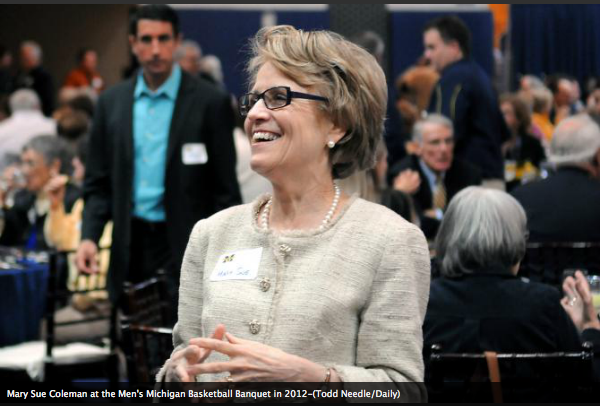 MSC presided over a few of the most cumbersome years of Michigan athletics. From The Fab 5 to Rich Rod, it's been a heck of a ride. Her influence and guidance in the many other areas of the university not associated with sports, has been exceptional. She will be missed. Shoelace will work out for the Lions. Tim Hardaway Jr. decision presser video. Rittenberg recaps Michigan's spring game. ESPN is in East Lansing today, here's their state of the program with Dantonio (spoiler alert: the glass is half full). Notre Dame extends NBC deal through 2025. *And boy, was it soft. 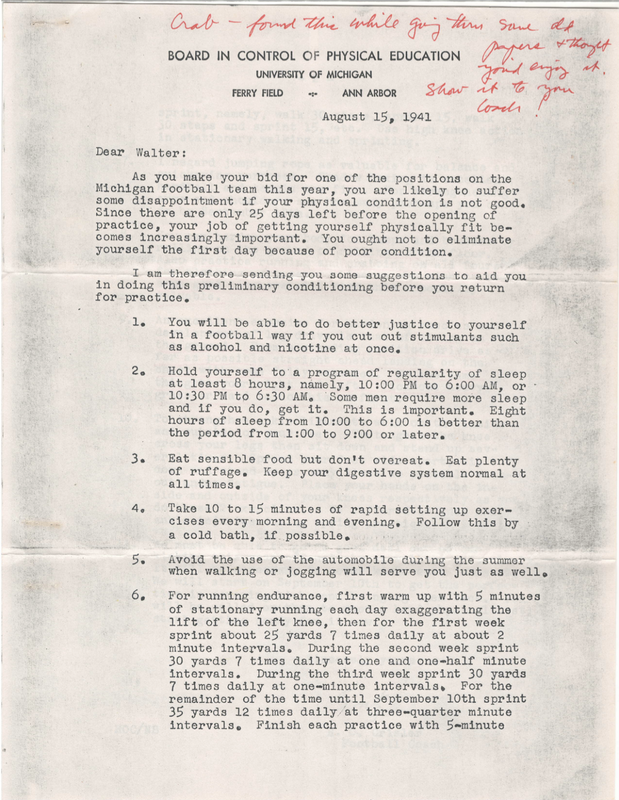 To those of you who bleed Maize and Blue, know someone who does or just might find it interesting, attached is a letter from Fritz Crisler to an incoming player. It was forwarded to me by an acquaintance of a descendant of the addressee, who found it while going through the man's personal effects. 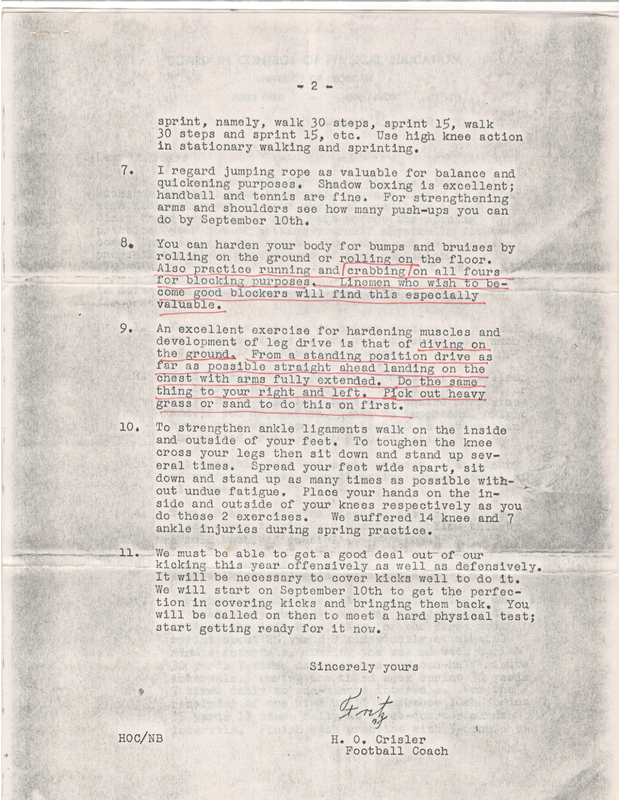 Interesting training regimen in '41.